With Erin heading back to work in the near future, our maternity leave travel opportunities were drawing to a close. Not ready to call it quits yet, we tacked on a week in Quebec to our biannual trip to Ontario to see friends and family. 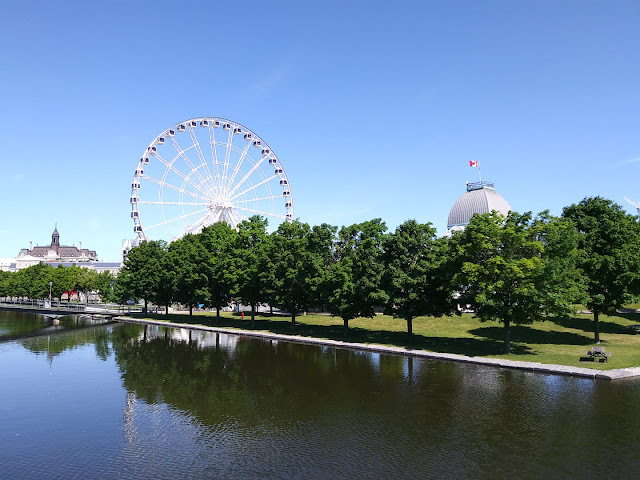 We planned a whirlwind tour of Montreal, a city we've each spent some time in, which is not nearly enough time to do this great city justice. With less than 24 hours in our pockets, we spent a good chunk of it visiting family and feasting with our gracious hosts in their backyard. Adventure Baby felt that we really needed to make the most of our one morning of sight-seeing so she awoke the entire house at 5 am (which felt like 3 am thanks to the time change), and off we went. We wandered Erin's favourite neighbourhood, Le Plateau-Mont-Royal, which didn't quite have its same feel thanks to the early hour of the day. 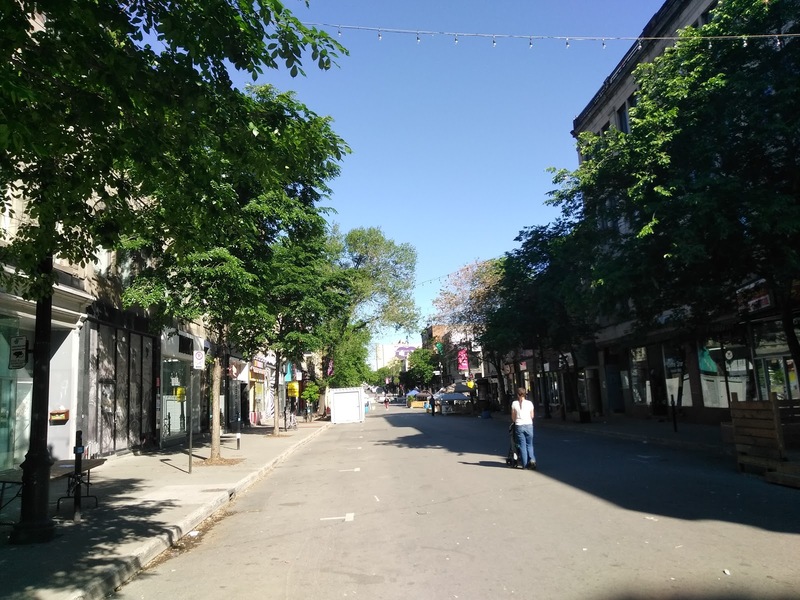 Its desertedness was especially ironic after warnings from friends that we shouldn't head to the city during one of its most popular weekends: Formula One. Disappointment bubbled up when standing in front of the boutique Erin was excited to visit as we were over an hour earlier than its opening time. With an understandably cranky baby, we continued on for a walk along Montreal's Old Port. The serenity of the location and time of day was interrupted occasionally by the sounds of race cars driving past on the nearby island. A delicious lunch and great company awaited us back at Erin's Aunt's house, which brightened our weary spirits. 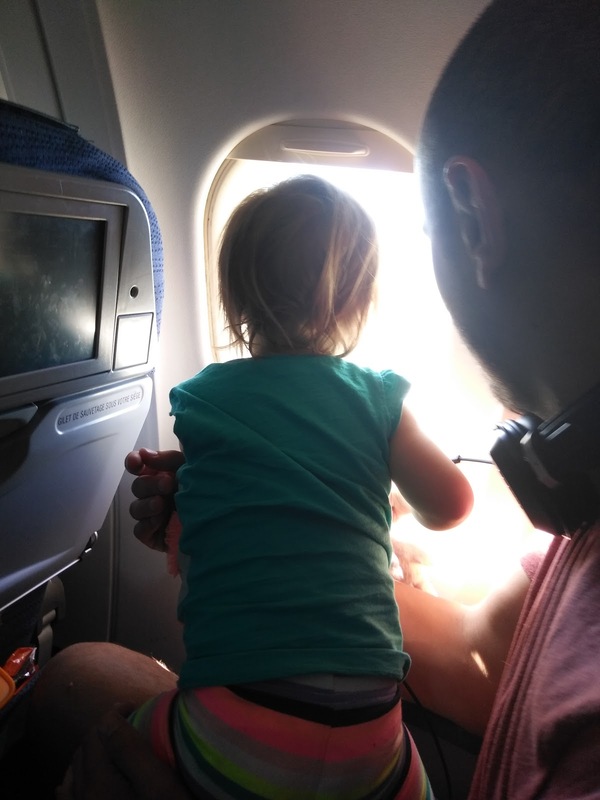 A diaper explosion, closed rental car office, and tight transfer time to the train had us stressed to the max, but with moments to spare, we made it on board and were off on schedule to Quebec City. We'll look forward to our next visit when we can hopefully have more time to explore our favourite places Montreal has to offer.